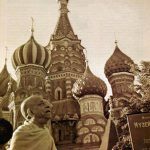 HDG Srila Prabhupada's Disappearance day this year in Moscow, Russia was a heavy, sober reminder of spiritual loss to all the devotees of ISKCON Moscow. 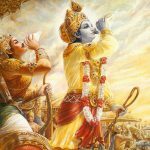 By Lord Krsna's arrangement, an unusual event took place here. There was the celebration of two departures of devotees in ISKCON — our Beloved Srila Prabhupada and his beloved disciple, my Godbrother HH Purnachandra Swami. The ceremonies were lush and loving with kirtans, bhajans, flowers and pushpunjali, arotiks and words of appreciation. HH Niranjana Swami and myself were the only two Godbrothers present at the ceremony, first in a huge hall-like tent next to the Moscow ISKCON temple. Hundreds of Russian devotees attended the day's and evening's ceremonies. The ceremonies took place at two separate places and times. 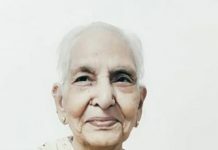 HH Purnachandra Swami's, emotional and somber ceremony took place at the start of the day, in the morning, and Srila Prabhupada's in the afternoon and evening. This was necessary, as Maharaja's body had to be cremated the same day. So it happened that two intense emotional spiritual loss experiences took place on the same day. 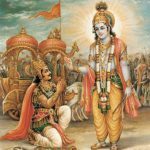 That's a rare event in ISKCON anywhere. 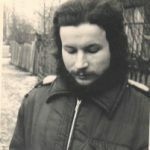 He spent many of his later years in ISKCON preaching in the former Soviet Union, Moscow in particular. I personally knew him for many years and I will miss him. I was always so happy to have his kind friendship, humble and genuine association. 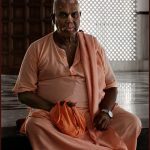 Purnachandra Swami really cared about his Godbrothers and Godsisters and lived his life for serving and helping the devotees, and later in his life serving the Russian ISKCON devotees. He was a wonderful example for us all. 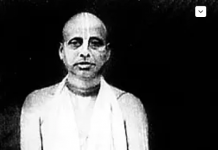 Purnachandra Swami was attached to no material things, only the holy names of God, Hare Krsna Maha Mantra and Srila Prabhupada' s ISKCON and its devotees. 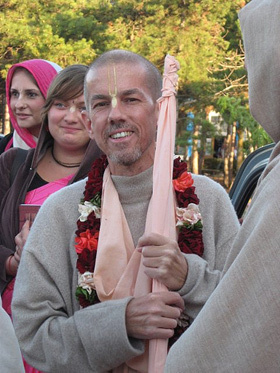 He was attached to following Srila Prabhupada's instructions to the letter. 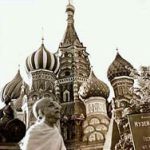 Maharaja was attached to preaching, encouraging all the Russian devotees in book distribution and massive Hari Namas in Moscow. He led by example. 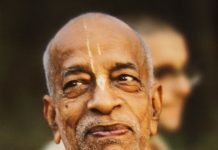 His personal example of real humility and real dedication to Srila Prabhupada and Srila Prabhupada's ISKCON society and its devotees is a shining example of a true Prabhupada man, and he will be dearly missed by his Godbrothers, Godsisters and disciples, and the Russian devotees who knew him. 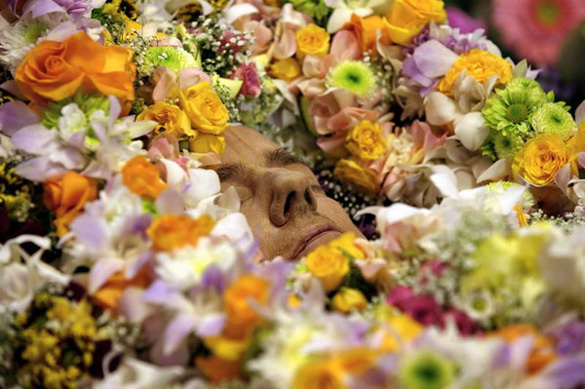 Pictured here is his Last Darshan.